I had been playing violent videogames since I am 8 year old. I also live in a very violent country. Guess what? I never killed a single person and I am super mentally stable and chill. Japan Have super violent videogames and tv shows and it has a low crime rate. The people there are also the most well mannered and polite people you will ever meet. So in the case of most Japanese people, violent videogames releases their stress and aggression leading to them being polite and well mannered in person. How violent Japanese videogames are? I actually play that game and she is one of the playable and fightable characters and I main her because fans of big manly characters got their ego hurt when I bet them with her. She is a 10 year old girl who is an Ainu Warrior who fights with a dagger and she have ice powers before Elsa became a thing. He is a 12 year old swordsman who uses a sharp umbrella as a weapon. Rimururu and Shizumaru are characters of the violent Japanese fighting game Samurai shodown. The video game is set in feudal Japan. If you play as Shizumaru and Rimururu you can dismember and disembowel your opponents. If you fight against these 2 kids you can brutally kill them too. There is no controversy in Japan that you can kill with these characters and even kill them. These recently have a 3d realistic upgrade so I can smell controversy from conservatives coming soon. So yes Samurai Shodown can be more brutal than Mortal Kombat because at least all Mortal Kombat characters are adults. I had been playing Samurai showdown since I was a kid and I never murdered a single person. I never beat down nor bullied someone. The first school shooting in America happened during the times there are no violent videogames yet. Why did this smart and sweet girl with good grades became violent and murderous? 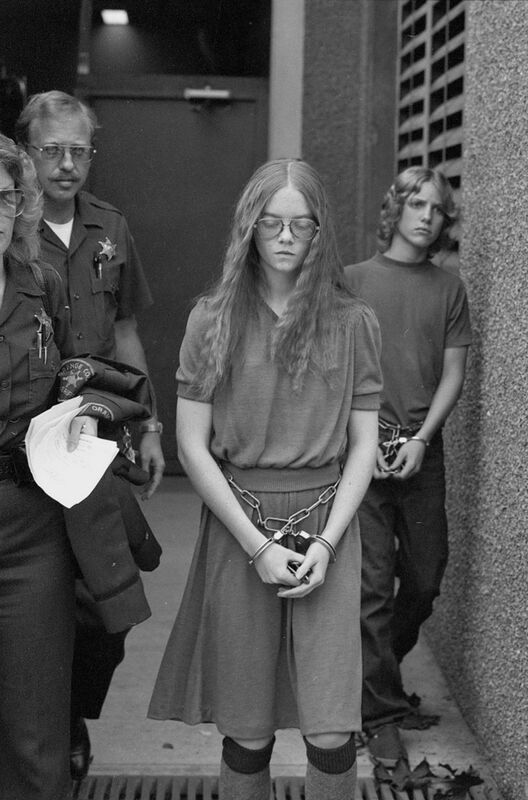 Videogames are not yet invented when she did the crime? Well she grew up in an abusive household. Her father rapes her and she is bullied at school for being nerdy, being a redhead and being a lesbian. There had been multiple studies proving video games do not make people violent. Also USA is the only country known for school shooting. Older people tends to blame video games for school violence because they want someone to blame and media want something to sensationalize without looking at the nooks and crannies of the situation. This boy is the most recent school shooter. His favorite videogames are not even violent ones. His favorite videogame is dance dance revolution. It is a dancing game people use to burn calories. Media wanted something to blame to make money. Old crooked politicians needed something to blame so they can add more stuff to their resume. Creators of educational wholesome videogames wanted to get more sales so they will also join the pitch forking of violent videogames. MMA fighter and Wrestler Ronda Rousey is seen as one of the best role models for little girls because of her achievements as an athlete and her charity works. Guess what? She is a Mortal Kombat fan and she is going to voice an Iconic Mortal Kombat character on its most recent sequel. Government doesn't care about Mental health issues to the point many psychologist are unemployed. Mental health should be an issue to taken seriously so crimes and violence will be prevented. Most school shooters have access to guns because USA is country where it is so easy to get guns. They don't make strict psychological evaluation to approve someone to get a gun. Most school shooters are bullied at school, Instead of the US government wasting time making multiple failed research to prove violent video games causes violence. They should have spent those money to stop bullying. Many school shooters grows up in abusive households. Abuse comes into different forms :Verbal,Physical,Psychological and sexual. The government should be prioritizing on how to guide parents to be good parents and take away abused children from their families and give them loving homes. Many school shooters also have Mental health issues. School administrations should check the mental health of their students to give them guidance. If they notice something strange with a student, they should give them help before they snap. Parents should worry more about those Elsagate videos on Youtube that toddlers watch because those videos have intentional psychological harm to children. I agree me being able to kill people in the game Doom lets me take out my anger. And not really hurt someone in real life. It actually keep me from killing. Games really do help getting the anger out. There are more factors contributed to the violence, other than video game, like bully culture, bad example of the patients. haha! Yes that is so true. I love video games, I don't see how they could blame video games for any of this. I remember debating an old lady on chatabout about videogames. She thinks they should be banned because Satan created them to take people away from Jesus. fergus1234 wrote: I never killed a single person and I am super mentally stable and chill. This is the key thing and even the NRA agree on this. They blame mental ill health. What they won't admit is that the single simplest way to reduce gun violence is to severely restrict ownership so that people with poor mental health can't access them even when a diagnosis hasn't been identified. NRA makes money if there are more gun owners and people with mental and temper problems not being allowed to own a gun makes them earn less money. As an educator,I believe that attitude and character of an individual is honed at home and in school. Sometimes, experience affects the mind of an individual. Violent video games maybe a part but parents still play an important role on how to tell their kids that it's only a game. Killing is not a part of a normal being. I agree. Video games are not the reason for the terrible shooting incidences. Actually, video games like counterstrike are very popular in our country. But, shooting incidences, especially in schools don't really occur like in America. I guess, it is because of the lack of guidance and people being free to own guns there. Well, I don't really know the exact reason, but video games are not the sole reason for this. theresajane wrote: I agree. Video games are not the reason for the terrible shooting incidences. Actually, video games like counterstrike are very popular in our country. But, shooting incidences, especially in schools don't really occur like in America. I guess, it is because of the lack of guidance and people being free to own guns there. Well, I don't really know the exact reason, but video games are not the sole reason for this. They just blame video games so they can keep their guns. Blame violent video games for violence? Yeah. That might factor into the equation. But if I was doing a Blame List I would put "Easy Access to Firearms" RIGHT AT THE TOP OF THE LIST! Not old so I can say yes, gaming community exposed to violent, sexual and propaganda content often falls prey to things which many company benefit from. Comics making LGBT content after bunch of minority pushing agenda and now normalizing is was also part of gaming community. Some of the gamers after playing fortnite and PUBG have shown violent symptoms. Lot of males are acting like fluid gay mentality after playing strong female character in games like lara croft, I won't be surprised if they act like a drag. Gaming and Weabu community does have issues due to the content being exposed to them by marketers. I don't get violent becasuse of games. I let all my anger out in the game battle field.